In a previous post I commented on AG Sharpston’s Opinion, which was delivered in September 2013. The Court essentially adopts a similar approach, but before going into the judgment itself it is worth explaining the technology and legislation that underlies the dispute. If you have been following the case you can skip the next paragraph. 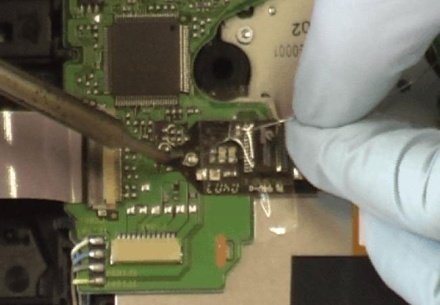 Videogame consoles manufacturers commonly build technical ‘locks’ into their console hardware to stop console owners running ‘unauthorised’ software. Publishers of licensed software must include in their game discs or cartridges the correct encrypted key in order for that software to run on consoles. For the manufacturer this has two benefits; it means that pirate copies of their software will not function on standard hardware, and also that software publishers must get a licence, after paying an appropriate fee, to make their software available to the public. Modchips are devices, which can either be fixed to standard consoles internally or externally, that effectively disable those ‘locks’ allowing any software to run on the console. The ‘unauthorised software’ which modchips enable could be: pirated software; legitimate, but unlicensed, ‘homebrew’ software; or, software legitimately published in another territorial region. EU Law protects copyright holders efforts to protect their work through ‘technological protection measures’ (TPMs); such as these encrypted codes or other forms of DRM. All EU Member States are to give adequate legal protection against ‘circumvention of any effective technological measures’, by Art 6(1) of Directive 2001/29. Art 6(2) of the Directive requires MS to give legal protection against the manufacture or sale etc. of any device which (a) has the purpose of circumventing a TPM, (b) has a limited commercially significant purpose other than such, or (c) is primarily designed to do so. “constitute complex matter comprising not only a computer program but also graphic and sound elements, which, although encrypted in computer language, have a unique creative value which cannot be reduced to that encryption. In so far as the parts of a videogame, in this case, the graphic and sound elements, are part of its originality, they are protected, together with the entire work, by copyright”. For some reason the Court missed out important elements within computer games that would be literary works, but it is clear that a videogame is a single whole protected by copyright. It is therefore legitimate for copyright holder to deploy TPMs to protect their work . So far, so good, for Nintendo. “ … legal protection is granted only with regard to technological measures which pursue the objective of preventing or eliminating, as regards works, acts not authorised by the rightholder of copyright … Those measures must be suitable for achieving that objective and must not go beyond what is necessary for this purpose. In those circumstances, it is necessary to examine whether other measures or measures which are not installed in consoles could have caused less interference with the activities of third parties not requiring authorisation by the rightholder of copyright or fewer limitations to those activities, while still providing comparable protection of that rightholder’s rights. Accordingly, it is relevant to take account, inter alia, of the relative costs of different types of technological measures, of technological and practical aspects of their implementation, and of a comparison of the effectiveness of those different types of technological measures as regards the protection of rightholder’s rights, that effectiveness however not having to be absolute”. This requires an assessment of the proportionality of the TPM itself; absolute protection is not guaranteed. In most other discussions of TPMs in consoles it has been simply presumed that they were legitimate. The Court also agreed with the AG that the examination of the use of a console could not be limited by the use envisaged by the rightholder . This makes it clear that the owner of the console should be permitted to make any use of the console they wish, and can only be restricted by a TPM when it necessary to do so to protect copyright works. This creates an interesting challenge for platform owners, like Nintendo, they can seek to ‘lock down’ their platform to support their business model and guarantee revenue streams, but they will only be able to defend those locks when they are clearly necessary to protect copyright works. The more a TPM restricts the user, the more likely it will potentially be seen as a disproportionate restriction. If their locks go too far they may continue to be a technical barrier, but they will no longer given legal protection. “ … with a view to examining the purpose of those devices, products or components, the evidence of actual use which is made of them by third parties will, in the light of the circumstances at issue, be particularly relevant. The referring court may, in particular, examine how often PC Box’s devices are in fact used in order to allow unauthorised copies of Nintendo and Nintendo-licensed games to be used on Nintendo consoles and how often that equipment is used for purposes which do not infringe copyright in Nintendo and Nintendo-licensed games”. This passes the evidential burden back to the supplier of circumvention devices. They will have to show that there are not only theoretical legitimate uses for their devices. If a platform owner can show that in reality the devices are largely used for illegitimate purposes it makes it more likely that their TPMs will be seen as proportionate. It will be interesting to see if the providers of circumvention devices can show that there is a real market for legitimate uses. I have previously argued, with David Booton, that console manufacturers were trying to extend the reach of TPMs to create an extensive ‘console manufactuers’ right’. The Court of Justice has clearly blocked the expansion of TPMs and limited them to the extent ‘necessary’ to protect existing copyright works. That will be welcomed by the technology hobbyists who enjoy the freedom to exploit the power of console technology in ways that may not have been foreseen by their original manufacturer. But the victory for the hobbyists is limited; TPMs are still legally sanctioned if they protect the wide range of copyright works that are to be found in videogames, and are proportionate. Any domestic court will have to consider the appropriate balance between a TPM and a circumvention device by comparing the effectiveness of the protection offered by the TPM and real evidence of legitimate uses that the circumvention device allows console owners. The judgment can therefore be characterised as a score draw – both parties can take away something for the future. Modchips can be legitimate and TPMs are given ‘necessary’ protection. The increasingly clarity of the legal position may give scope for the providers of circumvention devices to come out into the open, but unless they can develop a clear legitimate market for their devices it is likely that courts will continue to see their use as being mostly for piracy, and that will mean they are likely to see the protection of existing TPMs as proportionate. This entry was posted in Case Comments, Current Events, Discussion and Debate and tagged Angus MacCulloch, Copyright, Technology by eutopialaw. Bookmark the permalink.